To make a sweeping generalisation, the literature on children and autism can be divided into three broad and, sometimes overlapping categories. There are the dry as a bone, yet practical “what you should know” books written by paediatricians, researchers and others with experience of working with autistic children. There are moving and insightful accounts of an autistic childhood written by autistic adults and finally, there are the books written by parents of autistic children. That final group can be divided into many sub-categories. There are the tales of heroic parents who have “recovered” their children from autism by subjecting them to years of abuse loosely termed “biomedical treatments” or, biomeddling, as I like to call it (thank you Science Mom). There are the books from parents who are doing nothing more than fishing for sympathy then there is a a whole other class of books written by parents offering sensible, practical advice. 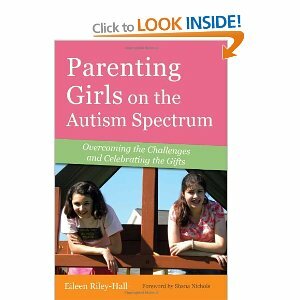 These books can be invaluable and I would place Eileen Riley Hall’s Parenting Girls on the Autism Spectrum – Overcoming the Challenges and Celebrating the Gifts, in this final category. For a moment, ignore the title of the book. Should you be, or know, parents in the process of seeking a diagnosis, or having received a recent diagnosis of ASD for their child, whatever the child’s gender, Parenting Girls… could prove a very useful book and would make a great companion to the must have, The Thinking Person’s Guide to Autism. For parents with daughters on the spectrum, this book could prove indispensable. Eileen Riley-Hall is a mother of two daughters at very different points on the autism spectrum. Lizzy, the eldest was diagnosed with PDD-NOS at the age of five. Caroline, two years younger, was diagnosed with autism at the age of two. Both girls are now in their teens and their mother charts their ups and downs and how growing up has challenged and changed her girls. The author is also an educator. Skilfully, succinctly and, most importantly, accurately, she compares and contrasts systems of diagnosis, means by which to get proper educational provision and financial help in both the USA and UK. This element of the work is not just a handy tool but, increasingly, parents are networking with parents from all over the globe. 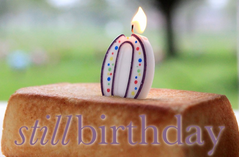 Indeed, I count Canadians, Australians, South Africans, US citizens and more as part of my virtual support network. By reading this book, I have quickly gained a far better understanding of the US education and welfare system than I previously held. Eileen Riley-Hall has produced a book full of pride but without a hint of vanity. This is a mother whose pride in her, each very different, daughters jumps off the page. She loves, accepts and seems delightfully fascinated by the workings of these girls’ minds. With a big dollop of honesty and bravery, Riley-Hall admits the difficulties she had at first coming to terms with her daughter’s diagnoses which, to all intents and purposes, came at once and the “dark times” that parents of all children can experience. The insights into her children’s lives are always apt but never intrusive and serve to illustrate the challenges as well as the joys the author is discussing. This is not a book filled with heroism and ego. This book reads as a long conversation with a mother who’s just that much further down the track. Just as a question springs to mind, Riley-Hall tackles it. Riley-Hall’s zeal for inclusive education is admirable particularly in the context of the rights of children with disabilities though I do think there is a tendency to negate the positive experiences and the whole host of reasons parents may seek out segregated teaching – not least the safety of their child and other students. That said, the author issues an important challenge to educators at the classroom and management level to not simply pay lip service the ideals of inclusion but to work at them and for them: to redouble their efforts to truly give every parent of a disabled child real and meaningful choice. In this she brings her extensive teaching experience to bear making her arguments fierce, compelling and impossible to ignore. Although I may not agree with Eileen Riley-Hall on every particular issue and nuance – I see a much wider need for special needs schools and units – she has written a book that has given me a good grasp of the issues particular to raising girls on the spectrum. I’ll put my hands up and admit that many of these issues hadn’t occurred to me such as the importance of dress and appearance. Some might contend that this is a trivial concern but on the contrary. The author makes the case, and quite correctly too, that this is not just a matter of fashion and fitting in but one of grooming and hygiene and breaking down barriers between the autistic girl and her peers. It is also a means of offering another form of self expression. At various points while reading the book I felt that I wish I had a little girl as well as the Pwd. At other points I thanked my lucky stars that my child would never feel some of the pressures the author’s daughters have and will in the future. More than all of that, though, I felt I’d got to know a family, was given a glimpse into a loving relationship between a devoted mum and her girls and was left wanting to get to know them better still. For this reason and that Eileen Riley-Hall’s voice is a much needed one of balance and pride, I’m hoping for a follow up. It really is a terrific book and a real eye opener for someone like me who has the most boyish boy in the whole wide world.